Green has always been my favorite color!! 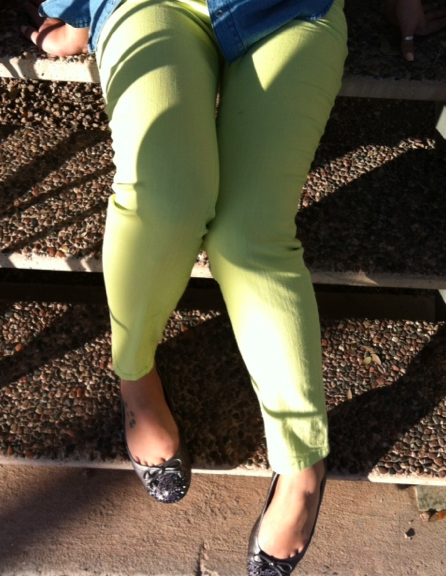 I found these green machine pants at Nordies last week and couldn't resist from buying them. They are perfect to bring in the Spring season. 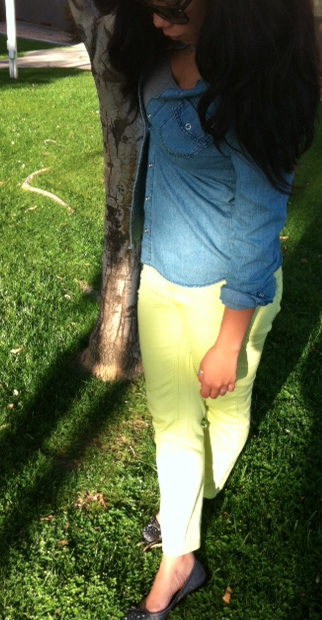 Im lovin' color pants this season( especially red) . I remember buying my first pair of colored jeans back in 2007 in Soho- they were grass green.I feel like the color pants/denim had disappeared for a couple of years and have made there way back into fashion. I always find that denim on denim looks strange sometimes so I paired this denim top with the color jeans so its not so matchy matchy. And plus it looks a little like the color block trend!